Tom Miszczak of RE/MAX Southern Stars is proud to present this Pindan homes built home to the market, featuring multiple living areas, quality extras and the perfect lifestyle with pool, gym and play area within the resort style secure gated complex, this is where you want to be. Stepping up to the home you get a sense for the care and quality that goes into this estate, the 2 car parking provides convenience for you and your guests. Stepping into the home the formal lounge is the perfect setting to sit back and relax with a cute study nook located under the stairs. 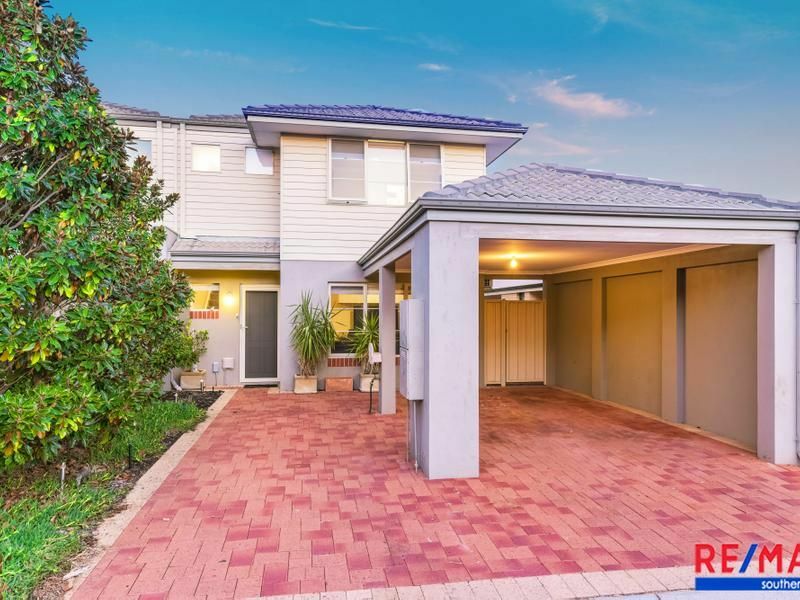 The home then opens up into a open plan kitchen, dining and living room with quality upgrades throughout including timber laminate flooring, overhead cupboards and air-conditioning. The perfect place to prepare dinner while your guests relax on the sun lounge and maintaince free artificial grass out the back. Upstairs features 3 good sized bedrooms, the main bathroom and separate toilet leading through to the master suite with walk in robe and ensuite bathroom. Located just a few minutes from Midland Gate shopping centre and Midland Train station with both due for upgrades to be completed soon, this is the value packed lifestyle you want.